We had a chat with Simon Thorp of national dementia charity – Dementia Adventure– about their ethos, their plans for the future, and what they get out of regularly attending the Alzheimer’s Show. 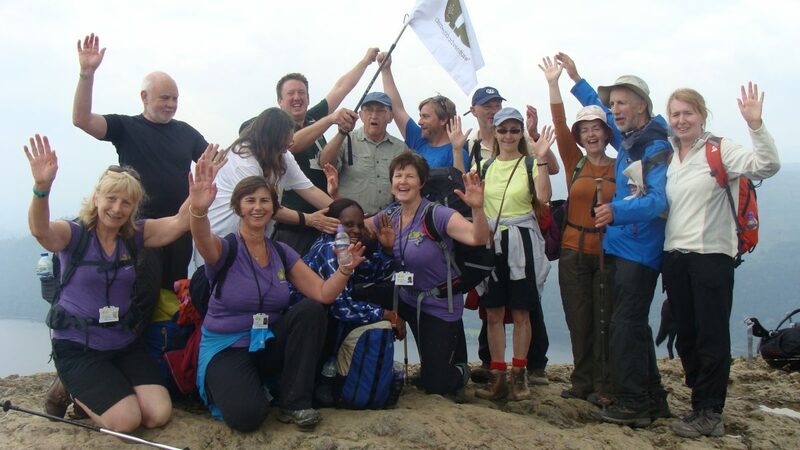 Dementia Adventure is a charity dedicated to helping people living with dementia retain their connection with the outdoor world and the community at large. Many people with Dementia (Alzheimer’s and similar conditions) can end up quite isolated and inactive – when the evidence suggests that remaining active and engaged with the world around us is beneficial for quality of life. This is the fundamental ethos behind everything the charity does – helping to keep people with dementia living as full a life as they can for as long as possible. i) Support for other Organisations and Family Carers – through training and consultancy. ii) Designing and Delivering Holidays – that are specifically-aimed at providing people with dementia an opportunity to enjoy a break away from their usual environment. The training and consultancy that Simon’s team provides is based on a framework known as ‘Thinking differently about dementia’ – which provides a set of practical and inspirational tools to help support people living with dementia. Everything the organisation tries to help facilitate is based on the fundamental principal of ‘risk and reward’ – whereby they encourage the people offering support to assess whether the rewards of the activity are worth the inherent risks for people with dementia. This balanced approach to risk stems from the idea that risks can be reduced through adequate planning. Plus the belief that the benefits of, for example, getting out into the open versus sitting in a chair all day, are much greater than the potential negative effects that could occur due to any of the risks involved. Some of the main types or group that Simon and the team work with are “green space” and “blue space” organisations. (Such as social farms, gardens and parks for “green space” or coastal and river based organisations for “blue space”). 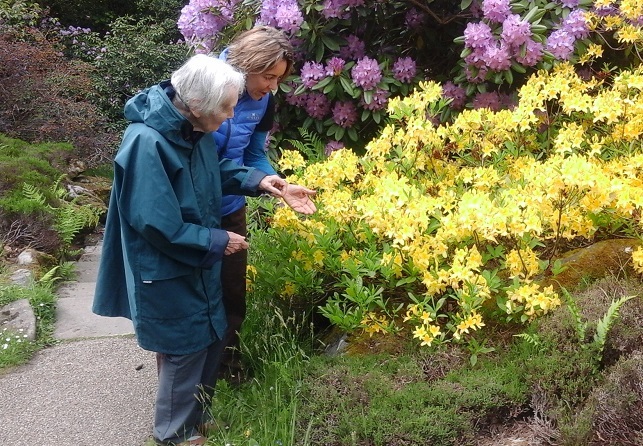 The idea is to encourage people with dementia to get outside. Providing holidays for people with dementia is the area that Dementia Adventure are most well-known for. Their range of bespoke, small group vacations are based on providing a high level of support for attendees so that everyone gets the most out of the experience. Generally there might be 3 or 4 couples (the person with dementia plus their family member / carer / friend), supported and assisted by the group team leader and 3 or 4 helpers. Most often, the holidays have been in the UK and last up to around 5 days – though following several requests from previous attendees, there are now international trips, with Portugal being a particular favourite destination. A Dementia Adventure can for some be as small as bringing the outdoors indoors through a sensory nature box, or by crossing the threshhold of a care home and spending time in the garden. Or taking part in a park walk. Living up to the word ‘adventure’ in their name, some of the perhaps unexpectedly-energetic activities the team have organised in the past have included walking in the Lake District, attending gardens in the Isle of Wight and even whitewater rafting and a zipwire experience in Scotland! With this kind of activity, it’s no surprise that the holidays tend to attract people who’ve always been active and outdoorsy types – though Simon assured us this is not an essential requirement, based on some of the people who’ve enjoyed previous holidays. Dementia Adventure have attended several shows now and have already booked their place for next year’s show. Their main criteria for evaluating whether a promotional activity is worth doing is whether it delivers a Return On Investment – which is why they’re more than happy to continue their association with the Alzheimer’s Show. As well as the stand where they can promote their services and holidays, the networking opportunity with the other exhibitors and attendees has always proven very useful for furthering the charity’s long term aims – with new connections made, services promoted, holidays booked and volunteers recruited as a result of every show. Simon and the team are looking to work with an increasing number of partner organisations around the world – with ‘Dementia Adventure in a Box’ being a kind of social franchising model they’re keen to develop and roll out further. They’re also always on the look out for more volunteers and fundraising assistance, as well as getting involved with research projects (both operational and academic) to further reinforce the principles their strategy is based on. On top of this, they’ll be adding to the range and type of holidays they offer in the UK and overseas.